Soft, sweet-smelling supple skin is a definite must-have. 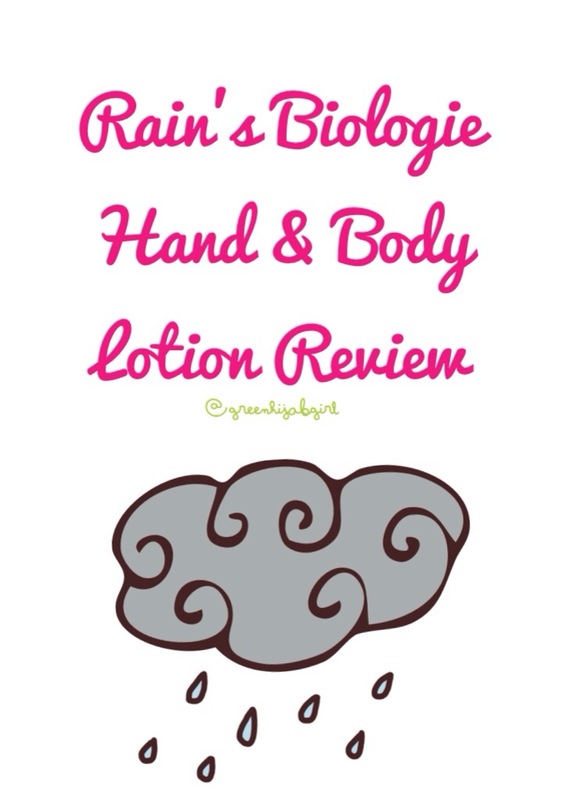 So, it’s always wonderful finding a product, like Rain‘s Biologie hand & body lotion, that nourishes and hydrates your skin, whilst leaving it smelling amazing . 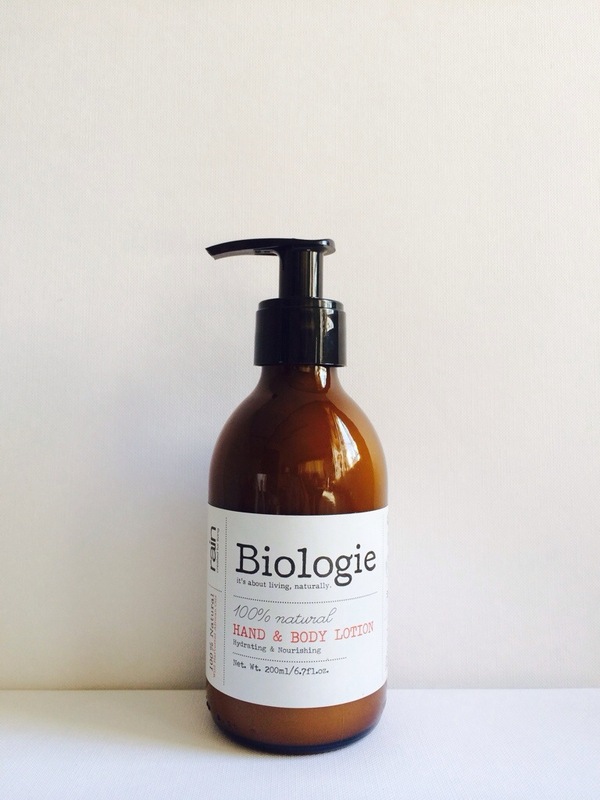 I was lucky enough to receive two bottles of the Biologie Hand & Body Lotion from Rain, one from their event that was held in March of this year and the other from the Durban Blogger Meet in April. And I’m so glad that I did! To be honest, I’ve always been that person to just use whatever body lotion was in my mom’s cupboard. I never, ever went out to buy my own or stuck to just one body lotion. But, I guess now that I’ve experienced this little piece of heaven from Rain, I don’t think I can live another day without it. So, you may think that this is just an average hand & body lotion – but you’re quite wrong. It’s possibly the best body lotion you will ever use – trust me, I am not exaggerating. If you don’t fall in love with the way in which it hydrates, nourishes and softens your skin then perhaps you’ll fall in love with it’s scent. Its main ingredient is formulated from the Marula tree and it smells like something out of this world. I remember when I first received it, I kept on reapplying, just so that I could inhale that beautiful scent! It is truly phenomenal! notice that it is very light and creamy. Not as light and fluffy as a body mousse, but more like a body butter minus the buttery feel, if that makes sense? I usually apply it every morning and evening after showering, unless on that day I choose to use Rain‘s Savannah Body Butter (review coming soon), which definitely helps to lock in the moisture. I think, even if you just use it in the evening, it’s probably more than enough. At night, your skin has time to chill out, take a break and regenerate, so applying the body lotion then, will definitely enhance the effects of the night-time skin regeneration process. So apart from the lotion and its scent being truly wonderful, the packaging is quite great too! The body lotion is packaged in a very Eco-friendly glass bottle (which means you’ve got to be careful when handling it and you can’t keep it in your handbag) and with a push-down pump mechanism which makes applying your lotion so much easier! I’ve mentioned before that I hate having to open a jar to use a product, it’s just too time-consuming and very inconvenient – so I love that this particular one has a pump! What’s also kinda cool, is that once the lotion is finito, you can wash out the bottle and use it to store another product or you could even use it as a vase or as a quirky little herb planter. Remember reduce, reuse, recycle! If you want to get your hands (and body) on this yummy H&B lotion from Rain, just head on over to one of their stores or you could just purchase it online! Plus, at only R115 for a 200ml bottle, it won’t break the bank!